Cameroon is playing host to the African Festival of Martial Arts, known by the French acronym, FADAM,under the patronage of the President of the Republic, Paul Biya. The festival, which brings together some 400 participants from some 40 countries of the five continents, is scheduled to hold in three Cameroonian cities; Douala, Yaounde and Limbe. 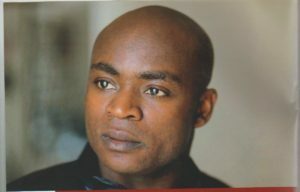 The FADAM is an initiative of Cameroonian born Maitre Dominique Martin Saatenang, the President of the International Shaolin Black and White Association, and Ambassador of the Shaolin Temple in China. The Chinese call Maitre Saatenang ‘The Black Eagle’. Africans say he is the ‘African Bruce Lee’, while Europeans know him as ‘The Black Chinese’. At a press conference which held at Sawa Hotel, Douala,on April 3, the initiator of the FADAM,Saateneng, and his collaborators,disclosed that he has done a lot of work with the Prime Minister’s Office and the Ministry of Sports and Physical Education, as well as with some other State institutions, for things to be ready. Saatenangalso stated that, being a festival, the organisers thought it good to introduce other aspects beyond sports: cultural, economic and educational aspects. Talking about the Investment Forum which is the economic aspect of the festival, it is being jointly organised by the Cameroon Chamber of Commerce and the China –Africa Chamber of Commerce. The President of the China-Africa Chamber of Commerce who flew in from China for the event was at the press conference.MaitreSaatenang, who is also a businessman, is currently the Vice President of the Federation of Investors China-Africa, and the Chief Executive Office, CEO, of DMS International Group. The hundreds of invited martial arts practitioners from across the world will start effectively participating in the festival on Friday, April 6. A group from France already arrived at Sawa Hotel in Douala in the course of the press conference. Most of the foreign artists (athletes) were expected to arrive in the country on April 4. The FADAM will hold in Yaounde at the Sports Complex, on Friday, April 6, beginning with a general rehearsal from 10.00am -1.00pm, followed by the cultural ceremony and parade of the different delegations, ending with the Night of Martial Arts from 8.00pm – 11.00pm. The festival will move to the Limbe Stadium, on Saturday, April 7 and will start in the early afternoon.The day as well as the festival itself will end in Douala with the Night of the Martial Arts at Canal Olympia Bessengue from 8.00pm-11.00pm. The cultural ceremony will feature a display by the national ballet and performances by several Cameroonian music stars. The Nights of Martial Arts will demonstrate different styles of martial arts from each country (about 30 martial arts disciplines). Spectators will watch displays of Kung Fu Shaolin, Karate, Krav Maga, Taikwendo,Jiu Jit Su, Judo, African traditional fight, and a host of others. As for the social aspect, Saatenang announced that part of the funds raised during the festival, will go to assist in the construction of health facilities and classrooms in the Northern Part of Cameroon that has been hard hit by terrorism. He also announced that he has a plan to open a National Academy of Martial Arts in Cameroon in future. Meanwhile, many international invitees are expected; among the big names that confirmed their coming are the famous Actor and Filmmaker,Chan Konsan aka Jackie Chan. 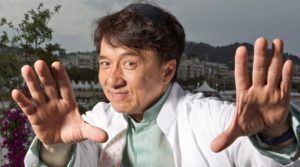 Born in Hong Kong in 1954, Jackie Chan studied film acting at the China Drama Academy, where he was also trained in martial arts and acrobatics. He was an actor in many great Chinese films including Operation Dragon where he met Bruce Lee in 1973. Another big name among the international invitees is French born film Actor and Producer, Gerard Depardieu, who also became a Russian citizen since 2013. Another is Abbot Shi Yongxin, the Current Spiritual Chief of the Shaolin Temple in China. Abbot Shi Yongxin is the 13th successor to Abbot Xue Ting Fu Yu. The Shaolin Temple is the most famous Buddhist Monastery in the Western World, thanks to Holly Wood and Jet Li. Saatenang aka the African Bruce Lee was born into the royal family of Bafou Village, Menoua Division in the West Region of Cameroon. As a kid he played footballand captained his primary school football team. But when the young prince discovered Bruce Lee and watched “Enter the Dragon”, the movie changed the course of his life by sparking the strong desire to practise martial arts. He started practising martial arts in high school, and joined the school of “Black Tigers”, with his greatest ambition being to go to China, the land of Kung Fu. After graduating with a Masters Degree in Management, Saatenang went to China for further studies and to live his dream. He was admitted into the Shaolin Temple. Chinese martial arts experts later recommended him to the Sport University of Beijing, from where he graduated in Wushu, with an outstanding academic record. He has since been taking part in many high level sporting events and competitions. In 2006, Saatenang grabbed two silver medals at the Wushu World Championship and a gold medal at the Wushu International Festival in Hong Kung. In 2009, he received a medal at UNESCO for his extraordinary history. A certified international judge and referee in Wushu, Saatenang is among the 33 best sportsmen inducted into the National Sports Hall of Fame in Cameroon from 1959 to 2009. He is currently the first Black person and fourth foreigner to be designated a member of the Shaolin Temple of the 34th generation. In 2011, Abbot of the Shaolin Temple formally appointed Saatenang as the Ambassador of the Temple, with one of his missions being to promote Wushu, as he set out to do with the creation of the African Festival of Martial Arts.